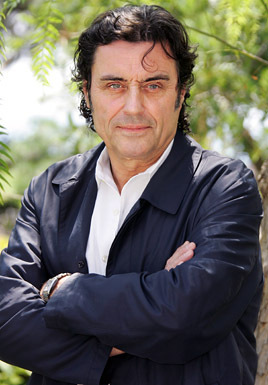 Ian McShane has been cast as a dwarf in Universal's Snow White and the Huntsman, report THR. Lovejoy McShane is set to play 'Caesar', the leader of the dwarfs in the adaption. The British actor joins Kristen Stewart, Charlize Theron, Sam Claflin & Chris Hemsworth in Rupert Sanders' film which hits theaters June 1st 2012. This is one of two competing Snow White projects that will hit theaters next year. In this version of the classic fairy tale the role of the Huntsman is expanded. In the classic original, he is ordered to take Snow White into the woods and kill her, but instead decides to let her go. In the new take, the Huntsman acts more as a mentor, teaching Snow White to fight and survive. Shooting starts in August. I'm reading: IAN McSHANE Is 'CAESAR' The Leader Of The Dwarfs In 'SNOW WHITE & THE HUNTSMAN'Tweet this!